1. A durable all-in-one tablet: The ongoing debates between tablets and laptops aren’t likely to end soon. There are certainly benefits rightfully claimed by each camp. For most students, however, a well-equipped tablet will meet almost all academic needs without breaking the bank or the backs of students lugging books, binders, and technology to and from class. IPads remain the most versatile with app availability and a growing array of accessories. There’s also the ROI of lessened reading expenses with e-textbooks coming in at a fraction of the cost of traditional textbooks. 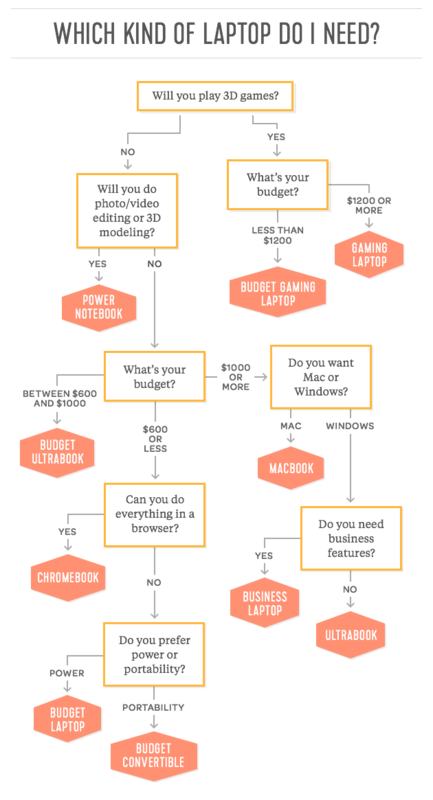 If you’re still stuck in the laptop/tablet conundrum, the Wirecutter has a flow chart to help with your decision. 2. Turn up the volume: Studies show that students learn more and productivity is boosted when work is accompanied by classical music. Even if the music genre of choice isn’t classical, there are plenty of legitimate academic uses for Bluetooth speaker/virtual assistance devices. The Amazon Echo provides a decent sound quality (especially at the volume suitable for close living quarters) with the added bonus of delivering quick answers. Not sure how to spell a word? Need a quick calculation? Ask Alexa. Once you’ve wrapped up your studies, use Alexa Skills to help you relax and fall asleep. 3. Turn down the volume: A solid set of noise-canceling headphones offer an option to make a loud space (i.e. dorms) quiet for study, rest, or just relaxation. They come with a steep price tag but don’t skimp on sound quality or they’ll end up gathering dust on the shelf. 4. On-the-go: Invest in a sturdy backpack or messenger back to carry your gear. Toss your own PowerCube in your back to ensure you always have a safe and secure option to recharge. Portable charging stations should also be among your essentials. In the throes of academic angst, there’s only one thing worse than writing a 10-page term paper-writing it twice. Don’t fall victim to data loss, theft, or corruption. Peace of mind is an invaluable gift. The SecureDrive offers students of all ages hardware encrypted data storage to save and protect their assignments. DataLock technology lets users securely access their data wirelessly. It’s the perfect combination of convenience and security. Next to the holiday season, back-to-school is probably the time of greatest consumer push to buy.all.the.things. While a few essentials can really boost your academic experience, there are also many, many things that aren’t needed. If you’re headed off to college or sending your child to relish in the joys of dorm life, leave the printer, scanner, and other peripherals at home. All of these functions can be accomplished in the library. Prioritize space for other items. When assessing what to buy, consider multi-functional, all-in-one gadgets to cut down on expense, weight to carry, and space. Our SECUREDATA Inc. team wishes you the best this school year! If you have a favorite piece of back-to-school technology, we’d love to hear about it on Facebook, Twitter, or LinkedIn.